Worcester & District Riding Club is affiliated to the BHS which provides insurance for its members, Rider magazine and discounts on a number of products and services, which are all included in your club membership fee. Throughout the year the club organises training at different levels and in different disciplines. 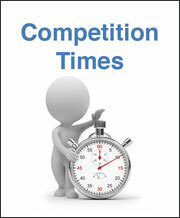 The club normally subsidises the cost for members out of funds raised by competitions. Whether or not you intend to compete for the club, all members are welcome to attend training. Non-members may be able to attend, unsubsidised, if there are any spare places. We offer regular training with fantastic trainers (more to be added!) at amazing venues! Our monthly flatwork clinics, during fine weather months in Chaddesley Corbett and indoors at Dodderhill Equestrin in winter, are with Nicky Southall. 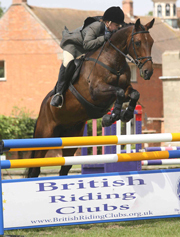 Nicky is a BHSII and trains with Carl Hester MBE. She also competes regularly with her horses. Nicky offers a sympathetic and understanding way of training. Our regular showjump clinics are with Bryony Wilson, normally at her yard near Pershore but check individual dates. Bryony is BHSI, an accredited BE coach and a UKCC level 3 BE coach who has competed at 4 star level. Bryony installs confidence to jump at all levels. We also offer cross country training, with William Blane, at Lincomb Equestrian, near Stourport. William is FBHS, a master BE coach and head of Pony Club training. He has a wealth of knowledge with years of experience. Our first session this year with William, who brings a wealth of experience. William needs no introduction to the club and the local area! Limited availability, groups of 3/4. £36 members £40 non members. Email chris.m.rose@hotmail.co.uk to book in, payment secures place! Showjumping exercises to get that perfect round in her own 65x20 arena. A great opportunity with this being only a week before Area Showjumping! £14 members, £19 non members. Book in early to avoid disappointment! These clinics fill up quickly! Payment by cheque or bank transfer secures place! !